Home »General » What To Do When You’ve Been Harmed By A Defective Product? Did you buy a defective product that caused you or your loved ones harm? If the answer is yes, then you may need a product liability attorney. As consumers, we expect that the products that we buy will be safe. When you have been injured by a harmful product, that trust in the manufacturer is immediately violated. It is your right as a customer to seek justice for a faulty product. Any company that puts out a defective product should be held accountable. So you may be wondering how to navigate the legal process for your product liability claim – it is probably in your best interest to consider a product liability attorney to evaluate your claim and provide you with the compensation you deserve. Check out our tips below to help guide you through your product liability case. Mail: US Consumer Product Safety Commission, Injury Report, Washington, DC 20207. Manufacturer defects: Manufacturers are obligated to sell products that are safe to consumers. To prove a manufacturer defect, you must establish that the manufacturer knew or should have known about the product’s defects. Design defects: Your case must prove that the product was unreasonably hazardous due to a flaw in the product’s design. You don’t need to prove that the manufacturer knew about the flawed design, just that they should have known. Failure to warn: Marketing defects refer to improper labeling of products, insufficient instructions, failure to warn customers about a potential danger or negligent misrepresentation of a product’s use and safety. Who Can Be Held Liable In Product Liability Lawsuits? 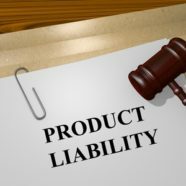 What Damages Can Be Sought In A Defective Product Liability Claim? The manufacturer of the defective product will typically ask you to send it back to examine it and confirm the defect or dangerous design. Sending the product back to the manufacturer could erase your best evidence and ultimately lose your case. Your product liability attorney will likely want the product tested or examined by an independent expert, but it will be too late if you’ve already returned the product. Need a product liability attorney in Woodstock, GA? If you are seeking an attorney for a product liability lawsuit, we can help! Defective product cases need to be handled delicately and by a professional, so let the Law Offices of P. Kent Eichelzer III help you today. We have offices convenient to Woodstock, GA and Marietta, GA. Don’t wait another minute; contact us today to set up a free consultation.